Ladies and gentlemen, please join me as I raise a toast to an African icon, business titan, managerial wizard and philanthropic legend, Dr Michael Adeniyi Agbolade Isola Adenuga, as he clocks 60 on Monday, April 29, 2013. He has done more than enough to justify each of those adjectives. On a personal note and as a journalist, I’ve had the rare opportunity of allowing the incredible story of this extremely gifted man for the past 22 years, the reason I’m qualified to be a self-appointed toastmaster today. It is difficult to imagine that Adenuga was already a wealthy, accomplished man before he attained the age of 40. This obviously gave rise to all manner of speculations about his source of wealth and the perceived strength of those behind him. This riddle made me more determined to find out as much as possible about this man who seemed to have built an impregnable wall around himself and his activities. The more I dug into his life, the clearer I discovered that his talismanic weapon was no more than an almost manic addiction to work. He had a simple and straight forward mantra; no mountain is too difficult to climb. Dr. Adenuga’s success simply teaches the world about the virtues of hard work. Adenuga’s management style was totally alien to our clime at the time. And it remains customised to him till this day. He cuts the image of a slave driver but he obviously drives himself even harder. He is not a General who goes to sleep while his troops keep vigil. He stays awake like a true Civilian-Field Marshall. The workaholic keeps everyone on their toes. His job is not for the faint-hearted. In his inimitable style, the legend is that he personally supervises the appointment of every member of his large workforce. This is a prodigious task at the very least, but one which immediately gives him an insight into every employee and leaves no one in doubt of who is in charge. He is clairvoyant enough to spot good talents and ready to tutor and take them through the drills and grills. It produces awesome results most of the time. Many have complained that he is a bully but surprisingly they never protest when he lavishes them with gifts. Many of those who have left his company often seek to come back after trying other bosses. It is difficult to find a man that generous but every soul must earn that generosity. And he extends his legendary toughness to even members of his family. As a reporter chronicling the amazing lifestyles of newsmakers, I have grown totally and unrepentantly fond of many extraordinary Nigerians in my career, but Chief Moshood Abiola, Chief Abdul-Ganiyu Oyesola Fawehinmi and Dr Mike Adenuga Jnr take the cake. They are my all-time heroes. I love them to bits for one simple reason. They shared an uncommon courage and the ability to conquer impossible challenges. While Abiola and Adenuga topped the Kilimanjaro of business, Gani headed for the Everest of Law and never stopped climbing. They dared to be different. And I learnt so much from my apprenticeship under them. What fascinates me endlessly about Adenuga is his unique style of doing things. Everyone talks about his stupendous wealth but ignore the fact that his is a veritable case-study in what the power of vision and tenacity can produce. True, positive accidents do occur in the journey of man that may affect his fortune drastically; this is exactly not so in Adenuga’s case. There’s no doubt he’s made powerful friends along the way but he wasn’t the only one who did. Others have since disappeared from radar and crashed into total oblivion. Not many members of the privilegentsia made anything tangible from the opportunities bestowed on them by influential benefactors. Adenuga is just in a class of his own. This could be linked to the truth that despite the fact that he was born into a comfortable family, he never took it for granted that he had to work to make it real big in life. He drove taxis as a student in the United States and started business since then by shipping commodities home from the proceeds of his sweat. He was a thorough-bread Ijebuman who knew how to turn riches into wealth. The Ijebu gene in him must have been speeding at full throttle. Like King Midas, everything he touched turned into gold. Making money for Adenuga is not just an art, it is a science. It entails meticulously setting out on a mission and making sure it is accomplished. The result is that Adenuga has since globalised his name without making any extra effort at throwing himself at people’s faces. This is why Forbes continues to underrate his humongous empire. My encounter with a Forbes agent in Africa says it all. About two years ago, Mr Mfonobong Nsehe was conducting a research for Forbes magazine on Nigeria’s richest men and women and had called in for my opinion. I wasted no time in telling him of my reservations about the yardstick usually employed by publications like Forbes and Fortune in measuring riches. While it is okay to monitor and use publicly quoted companies and empires to judge and arrive at their Rich lists in those developed economies and far-flung places, such criteria would fall flat in Africa. Their Rich lists had become too academic and almost mechanical. I told him that in Africa, you cannot call a chronic debtor a rich man. You cannot call a man who has gathered other people’s money to run a business a wealthy man. The rich man is that man whose personal fortune can be separated from what he owes as well as that of his business partners. On that note, the Forbes Rich list in Africa can’t be very accurate. There are many silent billionaires who have worked hard to achieve greatness but have chosen to remain understated. Adenuga is one of such people who never flaunt his wealth like less successful people do. He lets his works speak for him eloquently. Not many people could ever claim they’ve ever seen or met Adenuga in person. I love to describe him always as a spirit you don’t see but feel his impact all around. 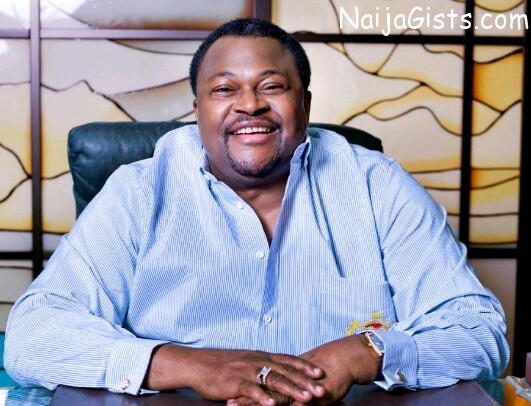 Mfonobong Nsehe seemed to have bought into my analysis as reflected in the teaser he later published before the actual Forbes List for the year 2011 came out: “Nigerian Billionaire Mike Adenuga Might Be Africa’s Richest Man.” It was posted on the Forbes website on July 14, 2011. In my view, Adenuga has always been grossly under-estimated. Those who should know would boldly acknowledge that there are not many Adenugas in the world. His tentacles go far beyond Africa. Not many people in the world own his types of business concerns, almost single-handedly. Oil & Gas (upstream and downstream), Telecommunications (with combined subscriber base of over 30 million spreading across Nigeria, Benin Republic and Ghana), Banking (the last individually-owned till recently), Real Estate (in different parts of the world)… I’m sure there are other less visible investments globally. While I understand and appreciate the frustrations that most reporters, local and foreign, always face over attempts to unravel the private life of Dr Mike Adenuga Jnr. (GCON), it should not be too difficult to correctly assess his conglomerate as Forbes itself has proven. The same magazine that limited its rating of Dr Adenuga to his stakes in Globacom still went on to disclose his much bigger companies that were not rated by its reporters. This can easily mislead researchers in the future who may wish to know and document some of Africa’s business icons. Adenuga’s life is amazing. I wonder when he sleeps and how he enjoys the spectacular wealth it has pleased God to bestow on him. While friends and foes are busy gossiping about him, the gentleman is making his money per second. It does not even matter if you and I are fast asleep. Globacom never goes on vacation just the same way his petrol stations never fall into deep slumber or his oil well never cease pumping. He has carefully chosen to invest in products that everyone needs on a daily basis. He had the foresight to predict the volume business that telecoms could become in Africa by making it easily accessible and affordable for all. He demystified telecoms in Nigeria and extended his dare-devilry to other countries. Dr. Adenuga has taught his mates that if your money is big enough, you must own your own bank or control its largest shares. While the so-called Nigerian mega-banks were moaning, groaning and agonising over the forced recapitalisation of financial institutions under the Obasanjo administration, he was the only bank owner who effortlessly merged his two banks, DEVCOM Merchant Bank and Equatorial Trust Bank and raised his N25 billion capital pronto. I had a raucous laugh when I read how Forbes wrote that Adenuga’s bank could not have been worth much. No bank in Nigeria is that small and certainly not a bank owned by the business octopus. Dr. Adenuga operates on the philosophy that you must win all the time. For him, there is no excuse for failure. If you fail, you must continue to strive till you begin to thrive and succeed. It took longer than necessary for the Globacom take-off in Ghana because there were just too many obstacles to surmount. But he would rather be late than being rushed into doing a shoddy job. Nothing but the best must come from the stable of the man we all love to address as The Guru. When he eventually took off in Ghana, even Angels in heaven shouted Hallelujah, and gave him a standing ovation. It was sheer magic the day his network was switched on. Dr. Adenuga is the Master of human development. He has built a superlative network of business opportunities for Nigerians at home and abroad. He’s easily the biggest employer of labour outside of government in Nigeria. His direct employees run into several thousands. His indirect contribution to the labour force is reflected in those ubiquitous kids running after your cars with telephone recharge cards day and night. You must also remember to add on those petrol station attendants selling petroleum at ConOil filling stations all over the country. He has clearly elevated the status of our artistes through generous endorsements and maximum exposure on international Media. Through Adenuga, our artists now appear like the authentic stars that they are. Dr. Adenuga is the biggest investor in the development of sports in Africa today. He must take substantial credit for the recent victory of Nigeria at AFCON 2013 in South Africa. He was the benevolent man who resurrected the comatose Nigerian Football League, just like he has helped Ghanaian football to witness sporadic boom. 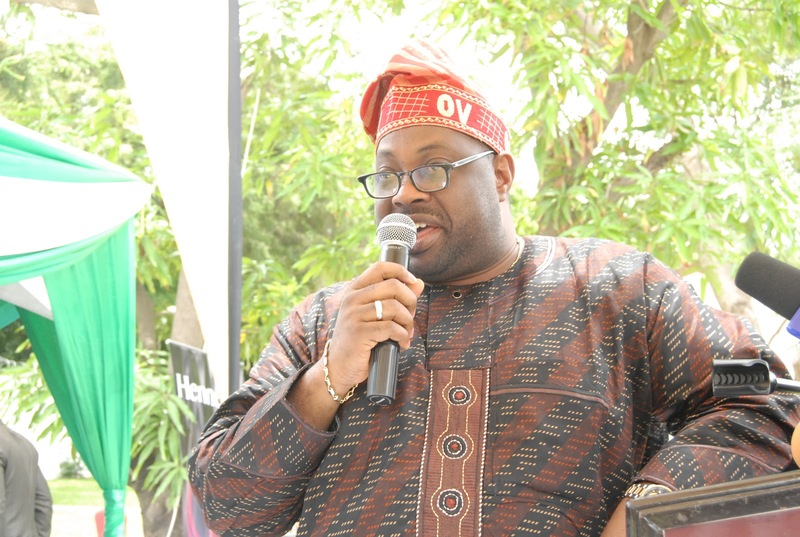 Adenuga has raised the bar of entertainment as a profitable industry in Africa. He has been paying many artistes what was definitely beyond their dreams only ten years ago. His sponsorship of African Voices on CNN has also promoted the positive side of Africa; a continent that internationally used to be synonymous with famine, wars and diseases. Dr. Adenuga is regarded as the most generous man in Africa today. While many businessmen would call press conferences before donating less than a hundred thousand dollars, he gives out millions every single day with a strict warning to the beneficiaries that “mum is the word.” His belief is that charity is a spiritual obligation that should never be a subject of media hype or vain-glorification. He has unobtrusively etched his name on the hearts of the young and old, the poor and the rich, in a manner that would be difficult to match. Indeed, Dr. Adenuga is God’s work in progress. He deserves our prayers and warmest congratulations. Long life oooo our father who at in naija there no be like you………. Happy Birthday to you great man of our nation,the God that bless Dr Adenuga should bless me abundantly too…Have a lovely birthday because the rich man don’t like it blast…God will give you Long life. Happy birthday 2 u sir, may u continue 2 grow frm strength 2 strength and frm riches 2 riches. big boy happy birth day and more. Happy birthday to u sir,wish you more of this. happy buffday 2 u sir…. Sir,You are rear gem for this generation,may God continue to bless you.